Pouch filling machines will assist in opening pouches increasing production rates and decreasing the likelihood of repetitive motion injuries. 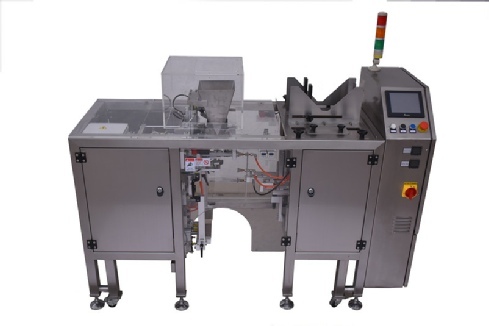 Semi-automatic table top pouch filling machine can be used with your existing heat sealers, or you can choose a heat sealer from our selection. 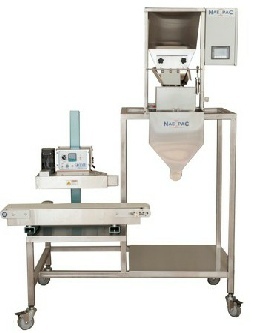 The pouch filling machine with internal heat sealer can be modified for automatic filling machine. Integrated pouch filling machine can also be integrated into assembly machines. 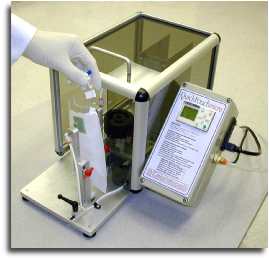 We also have standup pouch loading equipment and integrated automatic product loaders integrated with heat sealers.